Have you ever heard an odd sound in the dark, a weird whisper of the wind, shiver with unexplained goosebumps, or have the feeling of being watched? Scoff if you like but most people have at some point in their lives. In every culture from ancients to present, there have been documented beliefs in ghostly spirits. Some people are fascinated by claims of ghosts, spirits, and even demons. There are unnerving places on this planet in which paranormal phenomenon is reported almost identically throughout history, such as castles that are centuries old. Some castles are seeped through with myths and legends, scary stories of spooks, and are believed to be haunted places where restless souls linger in the night. 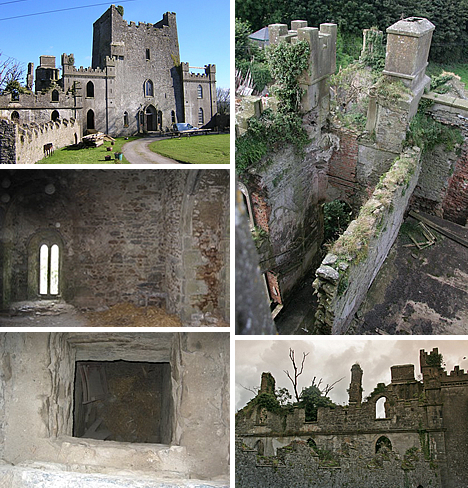 Some castles have been investigated by paranormal teams who record and offer “proof” of the hauntings. These are not the most beautiful castles on the outside, some even in sad disrepair, but on the inside there is supposedly paranormal activity and the darkness bumps back at night. Whether you wish to support your obsession with ghosts and ghouls or just for thrills and chills, here is a tour of 10 of the creepiest, most ghost-infested and haunted castles in the world as well as a video after each for you to draw your own conclusion about the proof of the haunted castles. Dracula’s Playground can be found in a creepy and remote corner of the Carpathian Mountains in Romania. 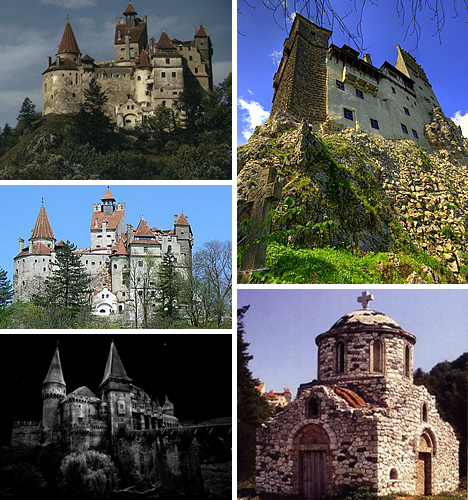 Bran Castle sits high upon craggy peaks within Transylvania, bringing vampires to mind. But there is no historic proof that Vlad the Impaler resided in Dracula’s Castle during his reign of terror. Dracula impaled thousands at a time, sometimes making their agonizing torture go on for months until death would claim his victims. Castle Bran is renowned for its infamous claim to haunted fame. Tourists are welcomed to find out. The little chapel, or grotto, in the bottom right adds an extra creepy element. As requested in Queen Marie’s will, after her death, her heart was placed in a gold casket and buried in Balcic, later moved to this grotto by Bran Castle. 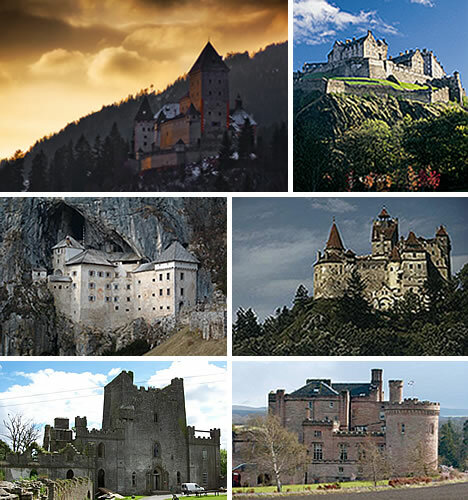 Scariest Places on Earth visits Dracula’s Castle. TAPS, the Ghost Hunters, investigated and here is their reveal. About AD 12, the Romans constructed a fort in this location which later became a cemetery. Hundreds of the dead in the graveyard were supposedly moved when in around 1172, this stone castle was built upon that very same land. It’s now Newcastle upon Tyne, England. There is about 75 feet separating the Castle Keep and the Blackgate gatehouse. Many teams of paranormal experts have led investigations here where tragedy is seeped into the ancient ground. Many of those experts claim Castle Keep is very haunted. Most Haunted roams Castle Keep, searching for paranormal proof of a haunting. 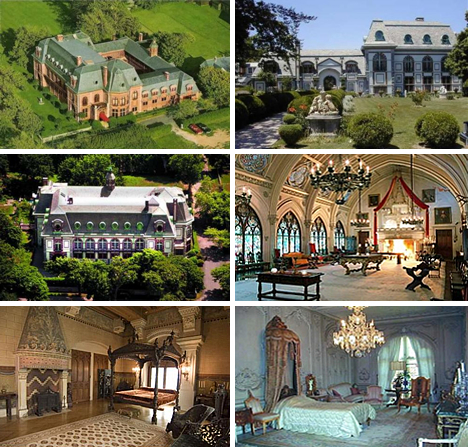 Construction began on Belcourt Castle located in Newport, Rhode Island, in 1891. The entire first floor was an extravagant stable as was requested by the owner. But in 1956, the Tinney Family bought Belcourt Castle. Harold Tinney adored his castle. He is said to roam the grounds and haunt his castle even in his afterlife. 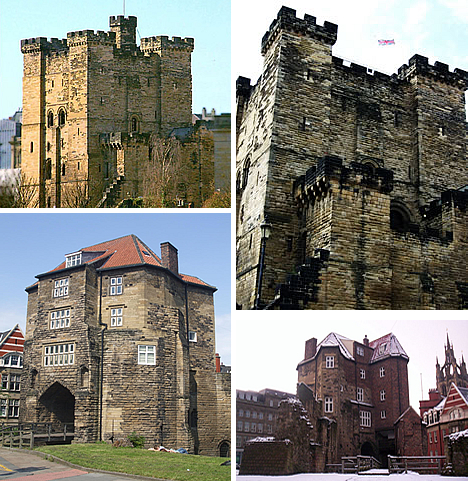 If haunted castles are your type of place, you can do more than travel there to visit. 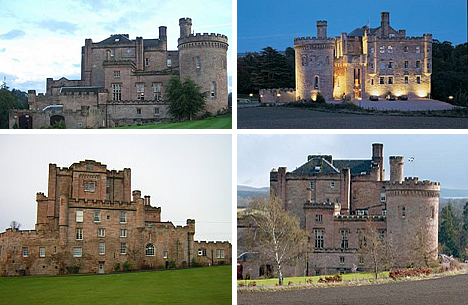 The castle is currently for sale and you can make it your own for a cool $ 7.2 million. After an investigation at Belmont Castle, Ghost Hunters analyzes the evidence. Moosham Castle in Unternberg, Austria, has a terrible and accursed past. It was in this castle where Austria’s bloodiest witch trials took place. Untold thousands of young women who were accused of being witches were tormented and killed in torture chambers in the dungeon. Moosham Castle is now better known as Witches Castle. Ghost Hunters International conducts a ghost hunt at Witches Castle. A castle built within a cave, now that is brilliant in terms of defense and offense. 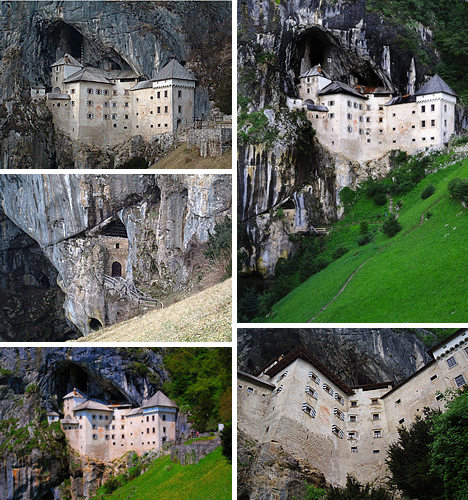 In Slovenia, Predjama Castle is known to date back to at least 1274. 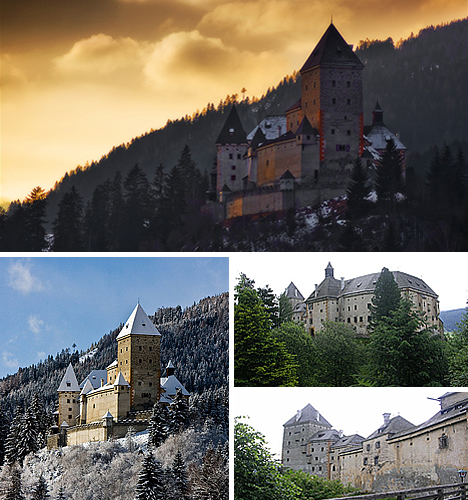 In the 15th century, a renowned robber baron fled the revenge of the Holy Roman Emperor and settled his family in this castle fortress. There ensued a long siege in which the castle was destroyed. It was rebuilt in 1511 before being destroyed by an earthquake. The castle was once again rebuilt in 1567 and has a secret natural shaft that leads out of the castle for supplies as well as when the robber baron needed a quick in and out for his robberies. 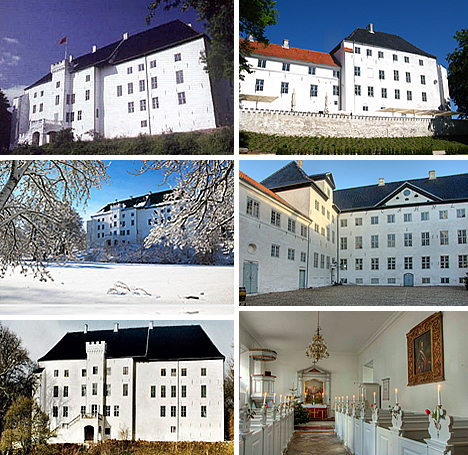 With at least 700 years of violent history, Pedjama Castle is said to be extremely haunted. Ghost Hunters International reveals their evidence at Predjama Castle. Dragsholm Castle in Denmark was built in the late 12th century. Today it is a renowned hotel, but Dragsholm Castle’s biggest claim to fame is its alleged haunting of over a hundred ghosts. Legend has it that three of these spirits continue to demand attention: Grey Lady, White Lady and the Earl of Bothwell. Perhaps the most tragic of all, the White Lady, was a young girl who fell in love with a commoner who worked in the castle. The girl’s father found out about the lovers and ordered his daughter imprisoned in her room, never to be seen alive again. During the early part of the 20th century, workers were tearing down some old walls. To their horror, they came across a small recess in one of the walls which contained a small skeleton wearing a white dress. Ghost Hunters International leads an investigation at Dragholm Castle. The Scottish fortress built high upon a plug of an extinct volcano dates back to the 9th century. 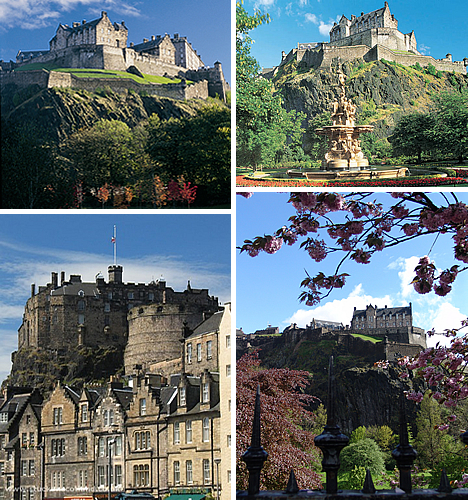 Edinburgh Castle has been there since the 12th century. Although it appears impregnable, in 800 years, the castle has taken part in numerous historic conflicts and wars, having been besieged both successfully and unsuccessfully many times. Deep in the bowels of Edinburgh Castle, dark and damp dungeons lie hidden away that had been used for imprisonment and torture over the centuries. Additionally there was construction of the vaults in the fifteenth century, but now that underground labyrinth of tunnels with 120 rooms are in an area known as Crown Square. At one point in history, the vaults were used to quarantine and eventually entomb victims of the plague. Archaeological evidence points back to the Iron Age, so Castle Rock and Edinburgh may very well be the longest continually occupied site in Scotland. With so much conflict and so much history, is it any wonder that many people swear Edinburgh Castle is haunted? The vaults that run underground are said to perhaps be even more haunted than Edinburgh Castle. You be the judge as people scream. Edinburgh Castle and the vaults are like any so-called haunted place. There are believers in ghosts and things that bump back in the night as well as rational explanations as to what might be causing the “paranormal” events. More than 800 years old, teenage Lady Catherine of Dalhousie was once deeply in love. Her parents however forbid her to see her young man. She then locked herself in the top room of the castle and starved herself to death. Legend has it that her lovelorn ghost roams the castle still to this day. Dalhousie Castle is now a renowned hotel, ironically a hotspot for lovers and newlyweds. An investigative reporter, a non-believer in ghosts, quickly has her mind changed. Chillingham Castle in England is most famous for its ghosts and is marketed as the most haunted castle in Britian. The “star” ghost of castle is the “blue boy” who is sometimes also called the radiant boy. Legend has it that he haunts the Pink Room. Guests of the Pink Room have reported seeing blue flashes of light or a blue halo of light above their bed after a long loud wailing. The hauntings decreased or perhaps ceased after renovation work revealed two bodies, a man and a young boy who were both bricked inside a 10-foot thick wall. The owners however claim the hauntings continue, so ghost hunters and paranormal investigators still come to investigate the mysteries of Chillingham Castle. 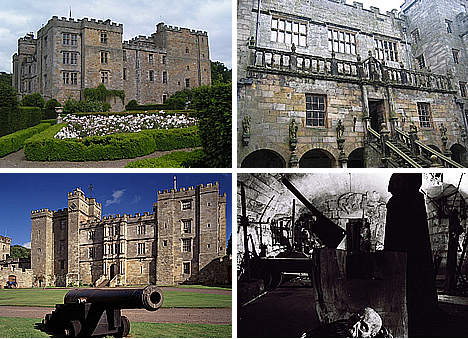 Most Haunted visits Chillingham Castle to investigate the paranormal.